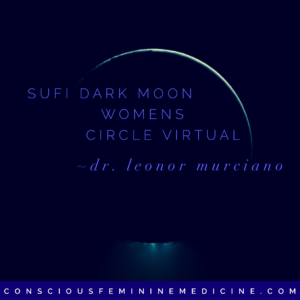 I invite you to our monthly Dark MOON, where we, women can gather ONLINE and receive the Lunar Activation of the month…as SHE gently coaxes us deep into the MATRIX of our WOMB… where we experience the divine light of unity from which all life is created. Each month the DARK MOON (right before the NEW MOON) urges us to die… and let go of all of our worldy imprints that have kept us separate from our SACRED NATURE within… it offers us a transformational alchemy of our spirit & soul… while creating space for something new to be born. BEGINS JUNE 21st, Summer Solstice! 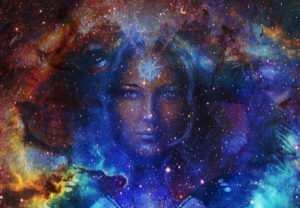 The art of Meditation frees us from the binding noise of the mental plane, our mind, and allows us to awaken to deeper levels of Unitive consciousness within us… the source of all life. Meditation accesses this field of Unitive Consciousness which in actuality is us; it is our Essential Self, our Soul, our Light. However, in our Conscious Feminine Meditation we not only experience this Unitive field of Oneness Consciousness... but allow to feel it in our bodies... let old emotional paradigms dissolve in it… and heal our BODY ~HEART~ MIND. 1st & 3rd Thursday of the month, recording available, live online. First month free… come dive with us- the Feminine Way.